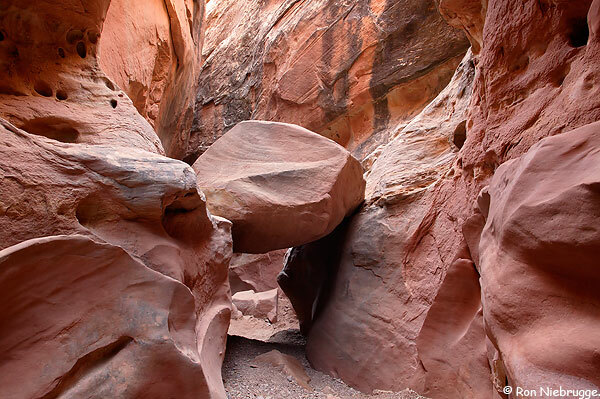 Aron Ralston sat at the bottom of a canyon with a boulder trapped against his arm. By this point, I’m sure you’ve heard his story (even if you only know him as the guy who cut his own arm off). Aron had been hiking in the canyons of Utah all alone when a rock gave out, causing him to fall into the bottom of that particular canyon. With his arm trapped underneath the rock, Aron called out for help, hoping that someone might hear him. Unfortunately, there was no one around to hear him. There was no one around to offer help. Aron found himself completely alone. I don’t know if you’ve ever felt alone. I’m not talking about “in the bottom of a canyon with a rock on your arm” alone. But have you ever felt like you’ve had to go through something all alone? Maybe you felt like there was no one around to help or comfort you. You wouldn’t be the only one to feel this way. In fact, 1 Kings 19 describes a time in which Elijah felt that very way. Despite coming off of one of his greatest successes as a prophet (defeating the prophets of Baal on Mt. Caramel), Elijah felt like he was all alone. Elijah even said to God, “I have been very zealous for the Lord…And I alone am left” (1 Kings 19:14). Thankfully, God taught Elijah a lesson that we too can learn from: We are never alone. We are never alone because God often sends us those who can help us and encourage us. At the end of chapter 19, we read that God sent Elisha to be with Elijah and minister to him. God recognized that Elijah needed someone to support him and so Elisha was sent to him. Frequently, God will do the same thing for us. Maybe it’s our spouse, a close friend or some other family member. Often there will be those we can lean on for support and encouragement. We just need to be able to recognize when God has blessed us with those individuals. Too often people feel like they are alone when there are others around them trying to lend a hand. We have to be able to look around and find our Elisha. We are never alone because there are others fighting the same fight. Elijah believed himself to be the only one who had remained faithful to God. However, in verse 18 we learn that there were 7,000 others who were still faithful to God and striving to please Him. Elijah was simply so focused on his own situation that he failed to recognize the others who were still fighting the fight that he was fighting. The same goes for us. Even in our darkest hour, we must remember that there are others who have fought and overcome the same challenges. There will always be others who are striving to please God, even if they are across the world. That should serve as an encouragement to us. We are never alone because God is always with us. Even if we never had an “Elisha” to support us and even if we were the only person left striving to serve God, we would still not be alone. God is still with us. As Elijah sat in the cave on Mt Horeb, he complained to God about being alone. It’s ironic because if Elijah really were alone, he would not have had a God to complain to. The fact is, God was there with Elijah and he is always with us to. As long as we continue to serve God and seek after Him, He will never leave our side. You may never find yourself trapped at the bottom of a canyon with no one to hear you call out. However, there’s a good chance that a time could come in your life where you feel like you are trying to make it all on your own. Just remember that we are never alone. No matter how hard things may become, God will always be there for us and will often provide us with others to encourage us in our walk. Let’s never forget about the presence of God in our lives. We are never alone. This entry was posted on Thursday, January 19th, 2012 at 9:09 am	and posted in Evangelism. You can follow any responses to this entry through the RSS 2.0 feed.